SPARKLING SUCCESS is primed for his final Australian race before embarking on a globetrotting campaign. 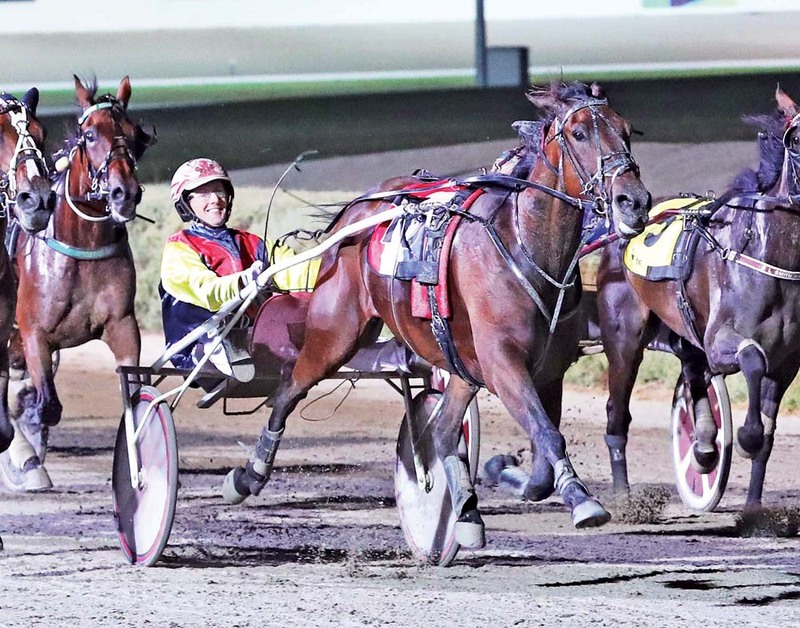 Due to leave the southern hemisphere next week, Sparkling Success is engaged in the Maori’s Idol Free-For-All at Tabcorp Park Melton on Saturday. The John Meade-trained gelding’s trip across the equator was made possible by receiving an invitation to contest the famed Yonkers International Trot. Sparkling Success is poised to become the first ‘Down Under’ squaregaiter to contest the $US1million feature. The International Trot is scheduled to be conducted on October 13, with a mouth watering $US500,000 to the winner. “This is his last start before we go,” Meade’s wife and co-owner Mary said. “So it’s very exciting. “He’s very good within himself and we are hoping he can leave on a high. It would be nice to head over on a winning note. “There a lot of unknowns associated with this trip, but we will learn along the way. To be driven by Chris Svanosio, who will also partner the seven-year-old in America, Sparkling Success has drawn barrier five over 1720 metres. Winner of his last three starts, Kyvalley Blur shapes as the main danger from gate six according to Meade. “He couldn’t be in better shape and will be very hard to beat,” Meade said. “This race will keep him nice and tight before we leave. “By the time he gets to Sydney, then the long trip over and a stint in quarantine, he will lose about a week, so the fitter he is before he leaves the better. “Kyvalley Blur is the biggest danger as he’s racing so well and is a solid old soldier.